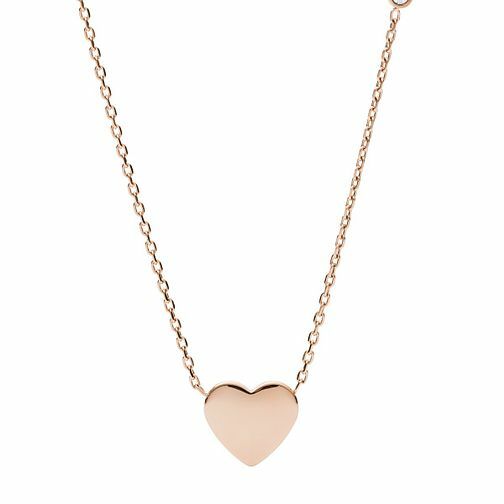 Timeless chic, this gorgeous necklace is crafted with a fine rose gold tone chain, and classic heart charm. The perfect compliment to any outfit or occasion, or as a sentimental gift to someone special. Embrace everyday style with vintage inspired jewellery by Fossil.